Stone Ridge Vineyard is a 20-acre vineyard upon which sits our winery, crushing facilities and cave. With ten acres planted, it consists of three blocks of Cabernet Sauvignon and two blocks each of Merlot and Cabernet Franc. Stone Ridge Vineyard lies roughly 1,680 feet above sea level on a volcanic bench cut by nature. The thick and rocky soil drains rather quickly, creating stressed vines and small clusters of berries. The outcome - wines that are deeply intense with complex flavors. Black Oak Vineyard is just up the mountain from our winery. It sits on a rocky hillside which creates intense minerality - especially in the Sauvignon Blanc grapes. This unique parcel of land is planted to Cabernet Sauvignon, Cabernet Franc; and one of the few Sauvignon Blanc vineyards on Howell Mountain. The Cabernet Sauvignon is planted on a loamy bench and produces a smoother, rounder Cabernet Sauvignon primarily used for blending purposes. 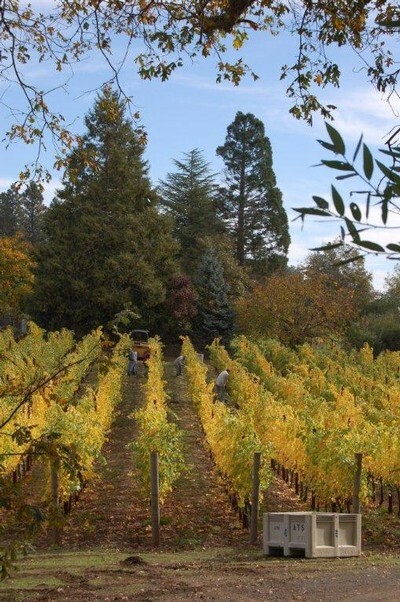 For more on the Howell Mountain Appellation, click here.